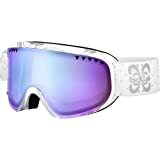 When you are hitting the slopes, a quality pair of ski goggles is a must-have. In good weather, they protect your eyes from UV damage and stop you from being blinded by sun glare. In poor weather, they keep wind and snow out of your eyes so that you can concentrate on your skiing. With such a wide variety of goggles on the market, all containing different features and interesting design points, it can be hard to tell which the best product for you is. 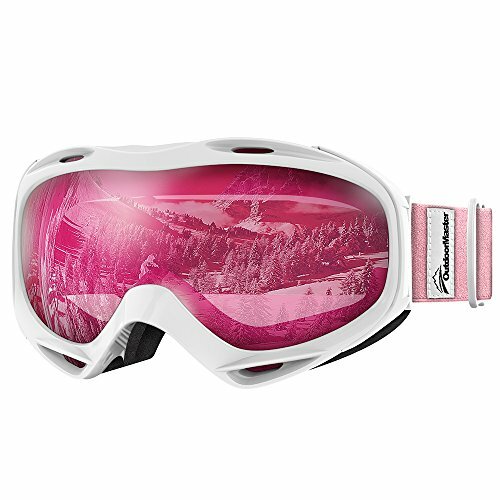 Hence, we are going to take a good look at five of the best womens ski goggles on the market today. We’ll evaluate each design and give you all the tools you need to find the right pair for you! We’ll kick off our list with these goggles from OutdoorMaster. They have the lowest price tag of any product on the list, but do they have anything else going on apart from the great value? The low price tag does give it away a little, but these are pretty low-end goggles. That said, they do have some useful features. First, they have a decent anti-fog layer inside, and they come in a variety of colors and dual lens styles. Second, they provide UV protection and have decent built-in venting to allow body heat to escape. So far so good, but the main issue is that they are just a little cheap. Thus, while they are designed as over-the-glasses (OTG) goggles, they are actually not deep enough to accommodate anything but smaller wireframe style of glasses. The strap is also short and has little give, so when you wear them with a helmet, the fit is quite tight. This, when combined with the low level of padding can make them uncomfortable after a while. If you like the appearance of these goggles, then you have Austrian skier Anna Veith to thank for. She has produced custom designs for this range that also boast a variety of excellent features. There is a lot to like about these goggles. For one, the lenses have a P80+ embedded anti-fog layer to the inner surface. This is backed up with a very effective Flow-Tech style of ventilation to keep moisture and heat out of the goggles. A double foam layer has also been integrated for a comfortable fit to the face. The foam is also not too thick, which helps to minimize blocking your vision. On the other hand, the strap has silicone details to provide enough grip to your helmet for a secure fit, and the design is female specific for added comfort and a better fit to your face. Although we know that beauty is in the eye of the beholder, we really like the designs of goggles available in this range. The straps are extremely attractive and there is a diverse range of lens colors and styles. The next product comes from the Smith Company. These goggles feature a stripped back and very clean looking design. Are they the best for you or are they missing too many features? We were very impressed with the lenses on this model since they are of a tapered style of construction, which helps to ensure a crisp vision no matter what angle you look from. That makes it easier to see clearly from your peripheral vision such as at the very corners of your eyes. 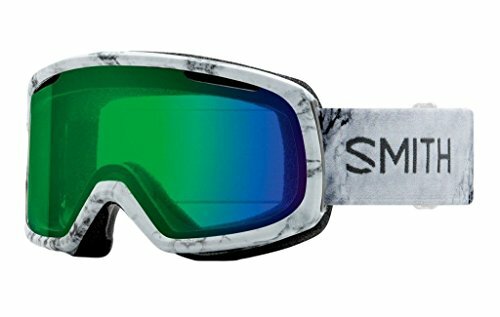 Smith has also employed a high-quality anti-fogging treatment to the inside of the goggles. This is backed with micro-etching which also helps to disperse moisture. All of those features combined give you a pair of goggles that very strongly resist fogging. On the downside, while there are various lens colors available, all with differing VLT levels, there isn’t one with a good mirror surface. That means these goggles are not ideal for extremely sunny conditions. There is also a huge price difference between many of the style of goggles available for this series. 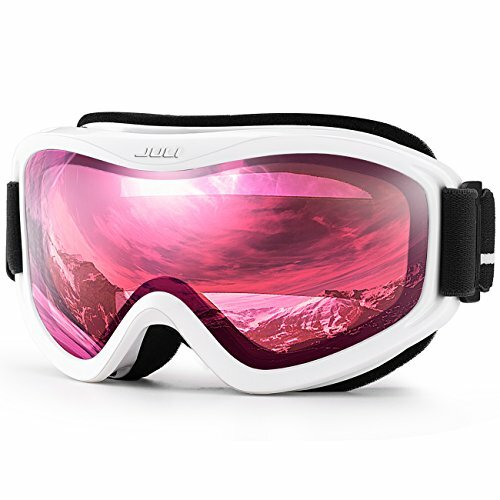 Next up, we have this set of goggles from JULI. It comes from the cheaper end of the market, but is it packing enough features to be more than just a bargain buy? The best way to summarize these goggles is to say that they are cheap but effective. So on the one hand, they do have many useful features; for example, it’s always useful to see designs of goggles that can be worn over glasses. There is also a very high level of venting, which should help to keep fogging to a minimum and also make the goggles as comfortable to wear as possible. There is also a wide variety of lens color available, each with a different VLT rating. You can go with a lens with lower ratings for cloudy days or higher for sunny ones. The lenses are relatively easy to replace too, so you can make adjustments on the fly as weather conditions change. On the downside, these are obviously a cheaper product, and so it’s missing a few of the bells and whistles you would expect on higher range models. The strap has no sticky silicone, so it may not grip to your helmet well. There is also only one style of foam for padding, and it’s very thick. This, combined with the relatively big frame will restrict your vision a little more than with some other models. Additionally, it has a unisex design. We’ll finish up with this pair of goggles from hongdak. Unlike the others we have looked at, it features a highly mirrored finish to the lens surface. Are these goggles bringing anything else or are they all surface with nothing underneath? The eye-catching feature of the product is, of course, the highly mirrored lens surface. 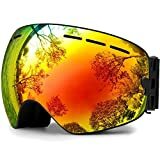 When goggles come with such a mirrored finish, it can reflect light, so we know that these goggles are going to be the best on the list for very sunny conditions. True to form, these goggles provide 100% UV Protection. The lenses are also of a spherical, minimal frame style of design, which is going to help give a very open view since there is little frame present to interrupt your peripheral vision. The lenses can also be easily removed and replaced. hongdak have also worked hard to provide as much ventilation as possible. goggles clean and clear while you are motoring down the slopes. As we’ve mentioned before, we’re not overly keen on unisex designs. They can often be a bit of a middle ground in terms of size and women with smaller faces may struggle with the larger than necessary nose cut out. The mirrored surface also means they are not ideal for low-light wear such as a cloudy day. 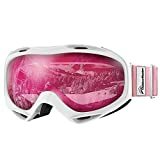 Among the products we reviewed, the best womens ski goggles have to be the Bolle Scarlett Modulator Goggles. 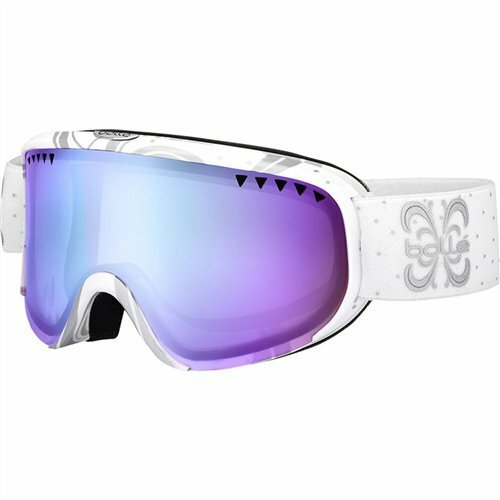 Not only do they look incredible, but they also have all the features you need to find in a pair of goggles that is ideal for hitting the slopes. They are comfortable, have good venting, excellent anti-fog properties, and have been designed to have minimal impact on your field of vision. Add in the fact that they look great and have a very reasonable price tag, and it is clear that these goggles are the winning product on our list today.